Louis Vuitton has officially confirmed their latest collaboration with avant-garde Japanese artist, Yayoi Kusama, who eventually acquired the moniker, “Polka Dot Princess,” because of her affinity toward incorporating polka dots into most of her pieces. 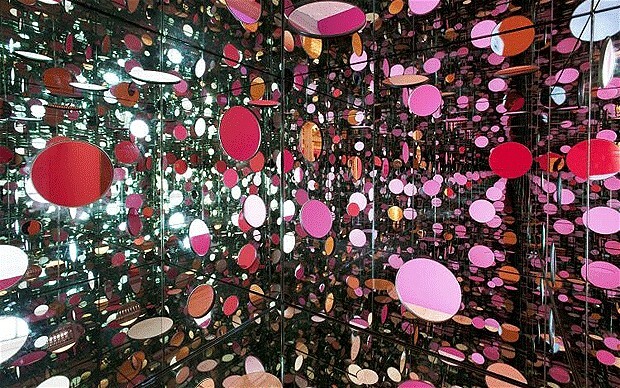 Kusama migrated to New York in 1957 where her career began with delicate water colours, however, evolved to include paintings and sculptures using mirrors and electric lights. 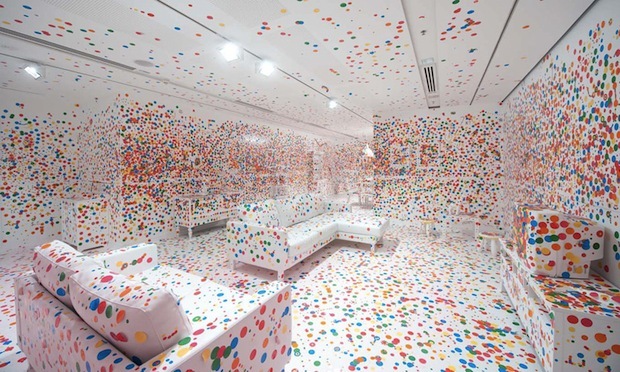 This unexpected approach can be attributed to the birth of Yayoi Kusama’s success, the press attention she began to attract, rivaled that of Andy Warhol. 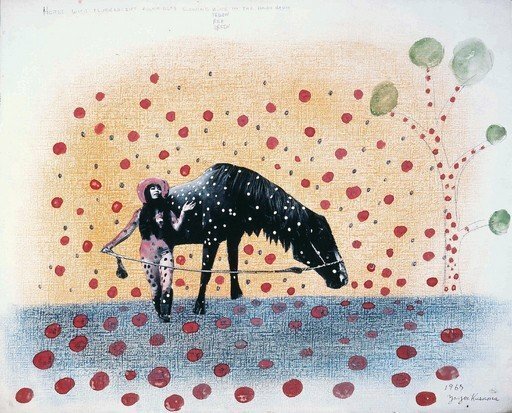 Now established in the 60’s art scene, Kusma’s career expanded to include: body painting festivals, fashion shows and anti-war demonstrations, as well as the film, “Kusama’s Self-Obliteration,” which she starred in and produced. The film won prizes at the Fourth International Experimental Film competition in Belgium, The Maryland Film Festival and the Ann Arbor Film Festival. Despite what seemed to be a prosperous career, in 1973, Yayoi Kusama returned to Japan due to financial and mental hardship where she continued to produce and show her works of art. 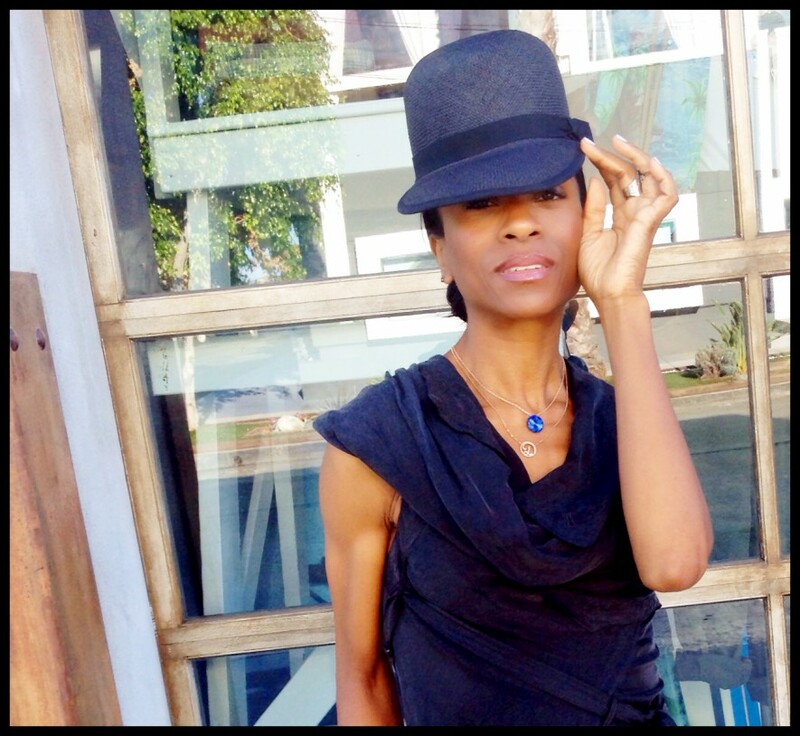 She also wrote a number of novels and anthologies, in 1983 the novel “The Hustlers Grotto of Christopher Street, ” won the Tenth Literary Award for New Writers from the monthly magazine Yasei Jidai. 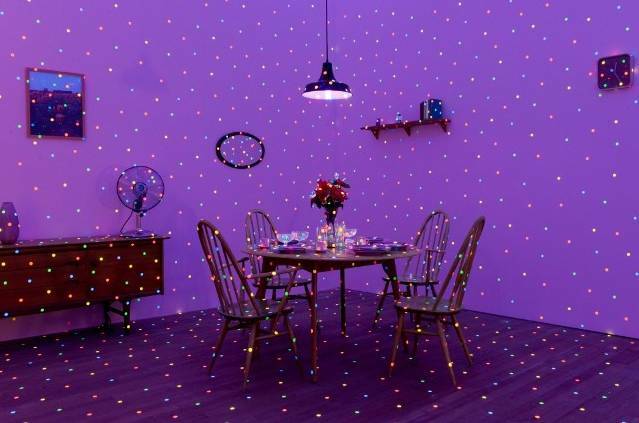 Yayoi Kusama incorporated polka dots into everything from stationary objects to herself. 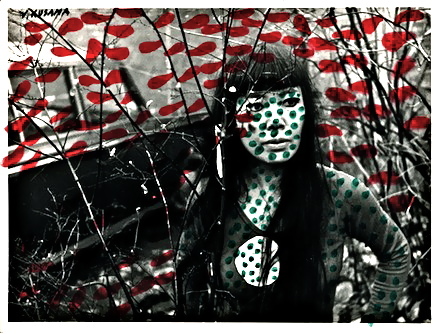 The use of polka dots in her work is a result of a mental illness she has struggled with since childhood when her hallucinations about polka dots began. 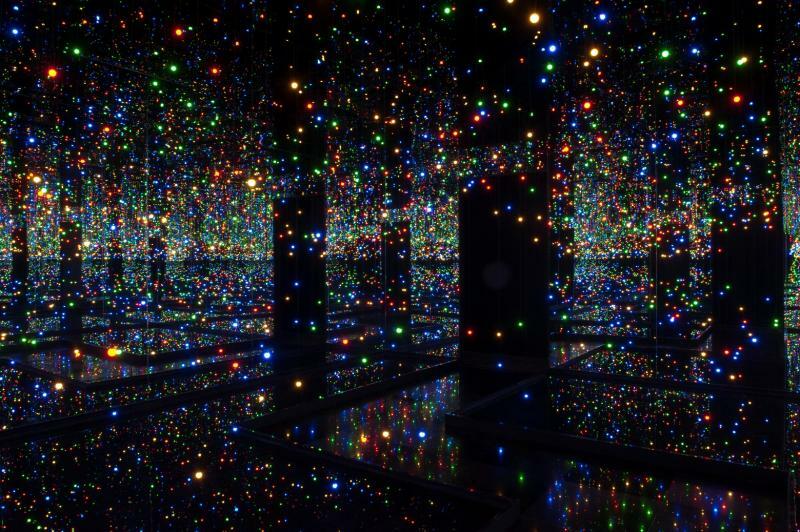 Today Kusama, now in her 80’s, resides voluntarily in a mental institution in Japan where she continued to make visual art and sculptures, publish novels, a poetry collection and autobiography. 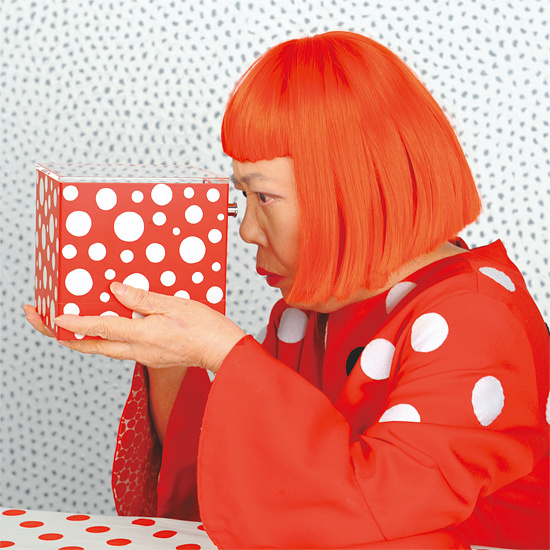 In 2006 Yayoi Kusama was named the Praemium Imperiale Laureate for lifetime achievement in painting, one of the most prestigious arts prizes. Today she is considered Japan’s greatest living artist. 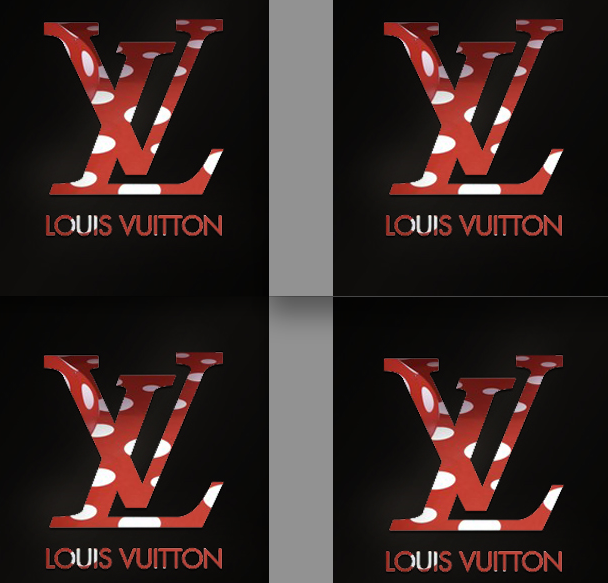 The collaboration between Louis Vuitton and Yayoi Kusama will be unveiled on July 10, 2012 and will coincide with Kusama’s major retrospective at the Whitney Museum in New York. According to Women’s Wear Daily, the collection will include a number of polka dot-covered items in vibrant colours such as: pajamas, dresses, coats, shoes and bags. There is much excitement surrounding the unveiling of the collaboration between Louis Vuitton and Yayoi Kusama as one would expect. Louis Vuitton rarely fails to deliver utter fabulousness with the luxury pieces we see season after season, while Kusama’s ecclectic approach to art will add an element we likely haven’t seen before.